Days to the opening of the new academic year, Makerere University is steeped in administrative and management disputes that threaten to pile more problems on the already troubled institution. Correspondences Sunday Monitor has seen and insider accounts point to fraud, abuse of office, nepotism, corruption, conflict of interest, bribery in recruitment processes, among other things, which have left staff at Uganda’s premier university “demoralised”. For example, sources at the university told Sunday Monitor, that the “stop-gap appointments”, a temporary measure of recruiting staff until a post can substantively be filled, are being abused by top officials, who solicit favours, including money, to appoint people in those positions and keep them there, most of the time illegally. On June 1, different staff associations of the university under the Forum for Staff Associations met at the university guest house and discussed some of the issues touching on irregular appointment of staff and abuse of the “stop-gap appointments”. The associations include Makerere University Academic Staff Association (Muasa), Makerere Administrative Staff Association (Masa) and the National Union of Educational Institutions. Resolutions were made and consequently communicated to the University Council in a letter dated June 5, 2018, a copy this newspaper has seen, with a warning that failure to address some of the issues will “cause unnecessary discord and animosity among staff members, who are in the circumstances already demotivated”. Muasa chairperson Deus Kamunyu, one of the signatories on the document, told Sunday Monitor that they had issued the document. Dr Charles Wana-Etyem, the Makerere University Council chairperson, also confirmed to Sunday Monitor that he had received the letter bearing the staff resolutions. He explained that the concerns have to be deliberated on by the members of the University Council before reaching a particular decision. 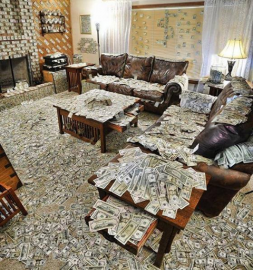 “There are some (issues) on the basis of my assessment I determine there is no merit, we let it go. Makerere is a public institution and people will always have various interests, and people will also place interpretation, sometimes they don’t have a basis upon which to raise their concerns. All they see is the output rather than the processes which they may not have access to. On that basis, I am unable to, at this point in time, give you a response to these issues. But we are addressing them,” he added. 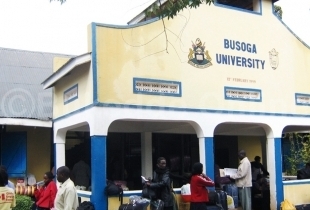 In their resolutions, the staff accused Mr Bruce Balaba Kabaasa, the chairperson of the university appointments board and other senior university officials of being behind the alleged problems. “Members noted that the behaviour of the chairman appointments board [Kabaasa] to order and recommend recruitment of staff is contrary to our Human Resource manual. We demand that this behaviour, which is unlawful and unbecoming, should be investigated and appropriately handled,” the letter reads, in part. Two staff were, for example, appointed on contract in the office of the Deputy Vice Chancellor in charge of Finance and Administration, even after their competence for the job and positions in the approved structure of the office were queried. In a note on September 22, 2017, Ms Dorothy Senoga Zaake, who was acting as human resources director, queried the appointment of a one Ms Kobuyonjo as an “admin secretary” in the Deputy Vice Chancellor in charge of Finance and Administration office, on grounds that she is not qualified for the job. This followed an email on September 19, 2017 by Mr Kabaasa indicating that he had agreed with the Vice Chancellor to have the two appointed as support staff to Prof William Bazeyo, the Deputy Vice Chancellor in charge of Finance and Administration. “She cannot be appointed as admin secretary because her qualifications are not in Secretarial Studies,” Ms Zaake wrote to Mr Kabaasa. She also indicated that Ms Kobuyonjo and a one Ms Tushabe were “project staff” and not “regular members of staff”. On the same day, however, she would change her mind and approve the appointment of the same and another Ms Tumushabe on a contract of six months at a salary of Shs3.5m each per month. Almost a year later, the duo are still serving in the same posts. Mr Kabaasa is also a subject of a petition dated May 9 by “graduate support members of staff” to the Inspectorate of Government on “gross abuse of office by the chairperson appointments board” in which he is accused of having influenced the “irregular” recruitment of at least 16 personnel, including an acting Deputy Vice Chancellor. In the petition, the Inspector General of Government (IGG), is implored to investigate the recent recruitment of the director internal audit, deputy university secretary, director legal affairs, director human resources, director estates and works department and the university librarian. “I also request you to investigate the finances handled by Mr Bruce Kabaasa when he was still chairperson convocation Makerere University; look through his expenditure and accountabilities critically. I believe you will be able to tell what I am talking about and know the challenge Makerere University encounters,” the petition reads in part. Mr Kabaasa did not respond to our repeated calls and when we sent him a text message about the allegations, he made our subsequent phone calls busy. In May, Mr Kabaasa and others were subject of a stinging letter by Mr Elias Nuwagaba, a former personal assistant to the Deputy Vice Chancellor for Finance and Administration, who accused them of personalising and abusing university property for their benefit. 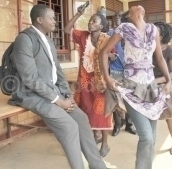 Mr Kabaasa and other officials, including the Vice Chancellor Prof Barnabas Nawangwe, denied any wrongdoing. Prof Nawangwe told New Vision on May 7 that Mr Nuwagaba’s claims were “ridiculous”. Mr Nuwagaba claimed in his letter that Mr Kabaasa uses the university main hall for his private activities and yet he does not pay the money due to the university. It was alleged that Mr Kabaasa’s University Forum is housed in a university property without any revenue accruing to the institution yet many university staff, including professors, lack accommodation. The complainants allege irregular appointment of staff, with a number of officers in the university reportedly appointed without following the laid down procedures in the university’s Human Resource Manual of 2009. Positions, it is alleged, are also being filled without an approved administrative structure and that the committee that was working on the same chaired by Mr Kabaasa failed to complete its work after he resigned from it. After quitting the committee, Mr Kabasa reportedly went ahead and “single-handedly” drafted the current structure and delivered it to council without consultations with the respective staff associations. since the procedure for creating the structure was not followed as expected. Staff resolved that the current staff recruitment against an illegal structure should be halted until this matter is resolved since even a section of our members have already brought this matter before the courts of law,” the staff resolutions read, in part. There is also a quarrel over the university’s Human Resource Manual of 2009, which the staff contend has been irregularly amended. The matter first came up in a May 22 letter by Muasa executive to the University Council. The staff associations argue that the irregular amendment of the human resource manual implies that business begins and ends at the council, which is against their interests as stakeholders. “We demand that all appointments that were made without strict adherence to the Human Resource Manual of 2009 should be rescinded to pave way for lawful appointments,” the resolution reads in part. Even when positions were created under affirmative action for some academic departments, the staff argue, the appointments board has since taken advantage of the affirmative action window to appoint, for example, all assistant lecturers on contract while their counterparts in administrative ranks are on permanent terms. “This window is also being used to deny [chance to] permanent staff who qualify to compete for these appointments by continuously filling vacant positions with stop-gap staff without any interviews based on internal or external adverts as is required in the Human Resource Manual and the Employment Act 2006. There are reports that next month, the appointments board will regularise a four-year contract for all staff on “stop-gap” basis in disregard of allegations that the same staff were appointed irregularly to the positions they currently hold. The aggrieved staff resolved that the “stop-gap” measure appointments be advertised internally for all eligible members of staff to be given an opportunity to apply and compete for the positions. “We demand that appointments which were made without following legal process (vacancy, minutes of request from user unit and adverts) should not be renewed upon expiry. The culture of appointing staff irregularly without following established procedures, through nepotism or single hand sourcing, has undermined the efforts of our members and threatened tranquility of our working environment,” the letter further reads in part. No sittings. The petition also raises the issue that the Independent Staff Tribunal of the university has not been sitting and by June, there was a backlog of at least 16 cases. “We have learnt that the secretariat of the tribunal is under external pressure to reject appeals of some staff with disputes. We have also been informed by our representatives to the tribunal that the office of the University Secretary could be interfering with the independence of the tribunal by appointing staff who hold a conflict of interest,” the staff contend. Staff recruitment. They add: “We have also learnt that Dr Daniel Ruhweza, who was appointed as registrar of the tribunal, has since been replaced by a university officer under the supervision of the University Secretary. Members noted that this is tantamount to conflict of interest and the interference of the independence of the tribunal. We, therefore, demand that the staff tribunal should be left to do its work without any interference from management or any organ with immediate effect”. Debts. A May parliamentary report put the debt burden of Makerere University at Shs64.2b arising from, among other things, non-payment of service providers for students’ food, pension contributions and staff arrears. It has emerged that Makerere is losing money due to failure to substantively replace retiring staff, especially in administration and support. What this implies is that the university ends up shouldering the entire pay of such staff using internally generated funds for staff on stop gaps when it could have paid about 15 per cent if these staff were regularly employed. On December 12, 2013, Prof Nawangwe, then Deputy Vice Chancellor (Finance & Administration), wrote to Kampala Capital City Authority’s (KCCA) director of revenue requesting for the exemption of the University Souvenior shop from paying a trading license. “Madam, this is to humbly request for exemption for this souvenir shop from payment of trading license as most of the items sold therein are actually sold at a subsidised price,” the letter reads in part. Despite getting the exemption, sources at the university say Makerere University does not get any revenue from the souvenir shop whether from the profit made on the items sold or from rent. The shop is housed in the basement of the Main Administration Building. The shop, we have since established, is owned by a long serving top female administrator (name withheld), who has served at the university for more than 20 years. Sources say she uses her position and influence to wade off any attempts to vacate or pay for this and other university properties. Attempts to kick her out of the same date back to 2012 with no success. Staff members allege that the Edge House, which until last year was controlled by the Department of Pharmacology and Therapeutics, has for close to 20 years been run by “a cartel” of officials who used is as a hostel for international students and would charge rent on the same without remitting it to the university. On average, an international guest was charged $15 (about Shs55,000) for a bed per night in the hostels created at the property, staff members allege. “It has since come to the knowledge of management that the house is used by the Department of Pharmacology as a guest house and not remitting the proceeds to the central university account as required by law,” Prof Nawangwe wrote in an August 1, 2017 letter withdrawing the house from the College of Health Sciences. Unfortunately for this University, it is giving up so much of its historical reputation as one of the best universities alongside the African Equator! 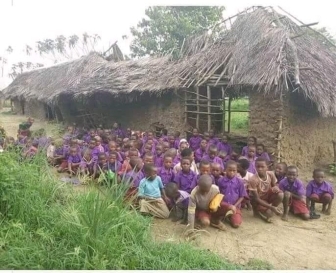 A SCHOOL IN NRM MIDDLE CLASS UGANDA. ONE WONDERS WHAT TYPE OF AFRICAN TEACHER RUNS SUCH A CLASSROOM? Schools in Uganda that seems not to have received any investment from the Educational Authority concerned. I am glad that sensibility is beginning to reign. 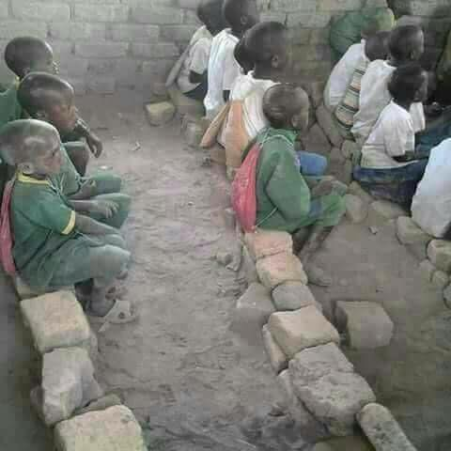 You should realise that is such a school exist in wealthy Buganda how more so in poor north?. It must be s sh.hole of a school for which you should condemn without mincing your words like you normally do. In a federal Uganda of the future, schools will be managed by provinces for that is what we will refer to individual states. Each province will run its educational budget, school curriculum and teachers and students wellbeing. It will nit be run from the Crested Tower or any tower for that matter out of the province. 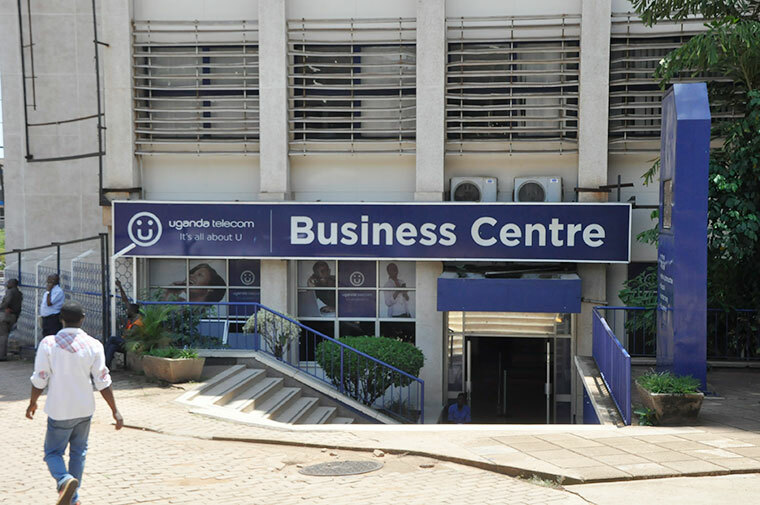 The Uganda Telecommunication Headquarter house in the city of Kampala. This is an old Uganda company that should come out all the way and invest in all the poor African schools its national internet interests. There should be one smartphone for every classroom in the schools if the African child has got to catch up with the modern global technology. One believes that all the sponsors of African Education are eager to pay more for such a service to the children. If all the rich internet service companies joined up to upgrade such young humans on this earth, the price of a smartphone would come down to the price of a basic item of Life Education. At about 7dollars for a smartphone. One begs companies like Googles and Microsoft to be passionately interested. One has the hope these days that if one gives an African kid to choose a loaf of bread and a smartphone, the great kid would grab the smartphone. On the ground. 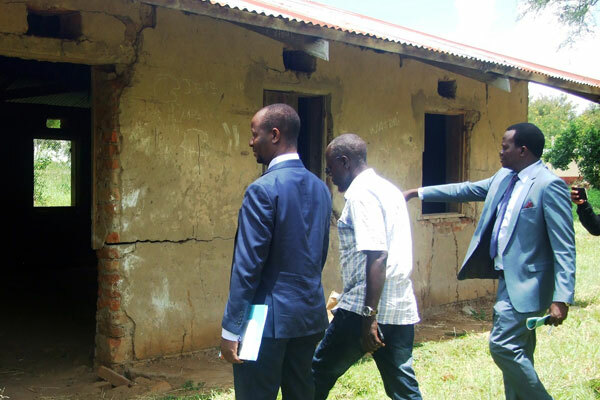 MPs Ibrahim Semujju Nganda (left), Hassan Kaps Fungaroo (right) and Ogoko Sub-county councillor Hassan Manzu inspect one of the dilapidated classrooms at the institute last Friday. PHOTO BY FELIX W OKELLO. Arua. The gate to the entry of Inde Technical Institute paints a sorrowful sight into the bushy institute, with dilapidated buildings and old cars parked in the school compound. 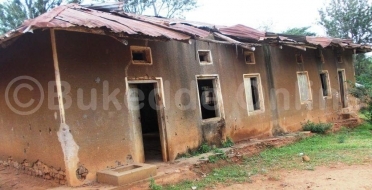 A walk around the school compound paints a grimmer picture as the oldest classroom block constructed during president Milton Obote II regime, has developed huge cracks on the walls. However, students are still using the dilapidated structure, though it is on the verge of collapsing. The school, that used to admit about 250 students for various vocational courses, now has about 187 students, a worrying enrolment trend at the time when government is investing in vocational technical education. Shades of big trees serve as classrooms. Sometimes, students forego classes, especially during the rainy seasons due to the coldness while studying under the trees. The institute’s deputy principal, Mr Charles Andrua, said because of inadequate funds, they were forced to close the institute two weeks earlier than the scheduled time. “We are still using this old structure that has developed cracks because we have inadequate classrooms. We don’t have modern equipment, computers or even power [electricity], yet these are important in training,” he said. The school has no electricity because the authorities failed to extend power lines from the national grid at Ocoko Trading Centre, a distance of about 61kms, to the school. He revealed that staff on government payroll have for the past five months not been paid. The school has 33 both teaching and non-teaching staff. To address some of these challenges, Mr Andrua said they have an outreach programme where they take their students to Ragen Technical Institute in Arua Town to access some of the services they don’t provide at the institute. He said this has seen most of their students excel at national level exams. In the 2014/2015 Financial Year, government gave the school Shs100m for construction of new classroom blocks. However, only one block was constructed, housing only three classrooms and a small office. Mr Andrua also said the dwindling funds from government that has been cut from the initial Shs45m released per term to Shs29m, makes it difficult to impart skills to the youths. The school relies on typewriters as there are no computers for secretarial work or computer lab for students and teachers. The teachers do not want to stay at the institute because the area also lacks social and basic facilities. There are no nearby shops where one can buy food and other household items. One has to travel about five kilometres to Rhino Camp Trading Centre to buy the items. This, according to some staff, demotivates one to teach or stay at the school. 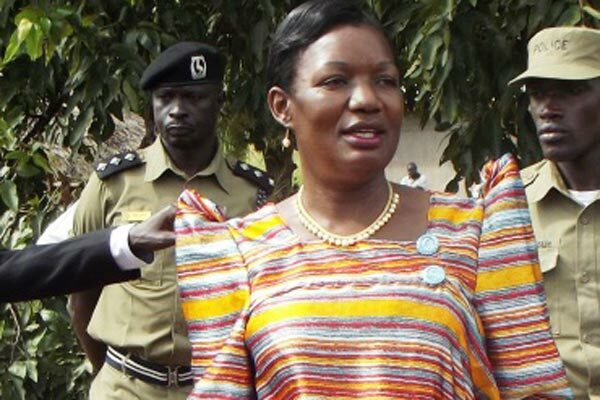 During a tour to assess the status of the school and other government-aided institution in the region by MPs on the Parliamentary Committee on Government Assurance last Friday, the MPs, led by the Leader of Opposition in Parliament, Ms Winnie Kiiza, were shocked by the school’s status. Akakiiko akavunaanyizibwa ku matendekero aga waggulu aka National Council for Higher Education (NCHE) kaaweerezza yunivasite ya Busoga ekiwandiiko ekibalabula okubaggala olw’obutaba na bisaanyizo bimala kufulumya ba diguli. Kuno baabagattiddeeko ebintu ntoko bye balina okukolako obutaggalwa naye abaffe yunivasite eno eyaakamala emyaka 20 namujinga avudde wa agitadde ku bunkeke. Kalondoozi wa Bukedde Online akuleetedde namujinga w’ava. Enkuba ebindabinda, enzikiza ekutte ku yunivasite y’e Busoga era ekizimba kisambye eddagala akakiiko k’amattendekero aga waggulu bwe kaweerezza ebbaluwa ebalaga nga bwe bagenda okugiggalawo. 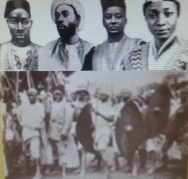 Emyaka 20 egiyise, eyali Omulabirizi wa Busoga, Cyprian Bamwoze, sipiika Rebbecca Kadaga, Dr. David Kantaale Kazungu, Polof. Bakwesegha, Frank Nabwiso n’abalala baatuula ne batema empenda ku ngeri y’okuggya Abasoga mu bwavu. Emu ku mpenda zino kwali kutandikawo yunivasite abaana b’e Busoga okubawonya olugendo nga banoonya aw’okusomera n’okubanguyiza okukulaakulanya ekitundu. Abandibadde bajaganya okuweza emyaka 20 nga bali mu nsiike y’okugunjula abaana b’eggwanga ne Busoga, laba ate bwe bali mu kusala entotto okulaba ng’ettendekero lino terisazzibwamu. Abaffe, ani aloga Busoga oyo atannassa mbugo era namujinga ki alya ekitundu kino nti n’akati akabiriiti akamu bwe kati akabadde kamulisa ekitundu kyabwe koolekedde okuzikira! Okwekalakaasa baafuuka baana baliwo. Abasomesa bwe baba ng’abadda mu nteeko, ng’abayizi basitula enkundi ng’olusoma lw’omwaka gwe twakakuba emabega beekalakaasizzaamu emirundi esatu! Mu 2013, emivuyo egyali gimaze ebbanga nga giri munda, gyasajjuka bwe kyazuulibwa nti waliwo abayizi okuva mu mawanga agatwetoolodde omuli Kenya, Sudan ne Tanzania abaali baaweebwa diguli oluvannyuma lw’okusomera emyezi mukaaga! Kino olwazuulibwa ne balagirwa okukikomya mbagirawo. Ekyapa kya yunivasite kyasingibwa mu bbanka wabula ssente ezeewolebwa tezaakozesebwa kukulaakulanya ttendekero olwo ebbanja ne lyetuuma mu buwumbi busatu n’omusobyo. Ku bbanja lino n’abasomesa babanja omusaala gwa mwaka gumu n’ekitundu. Nga January 5, 2017 dayirekita w’akakiiko akavunaanyizibwa ku matendekero aga waggulu (NCHE), Dr. John Kagume yawandiise ng’agamba nti, nga beesigama ku kawaayiro 98 (1) (b) ak’amateeka ag’amatendekero aga waggulu, bamalirizza emitendera egyetaagisa okuggala Busoga yunivasite. Yalaze nti kino baakiraga ne mu katabo ka Gavumenti aka Uganda Gazzette nga December 19, 2016, ku nnamba 1054/ 2016. Owebyamawulire mu kakiiko kano, Saul Waigolo, yategeezezza nti olunaasazaamu layisinsi mu bujjuvu, Busoga yunivasite ejja kuba tekyawandiisa bayizi. Akakiiko kano aka NCHE kaasooka ne kayimiriza okuwandiisa abayizi ku yunivasite eno, abakungu ne balemerako ne baddukira mu Kkooti. Baawaabira Ssaabawolereza wa Gavumenti ne NCHE okubayimiriza nga tebeewozezaako, era kkooti n’ebawa ekiragiro ekisazaamu eky’akakiiko. Emivuyo egifumbekedde akakiiko gye kanenya aba yunivasite kuliko enzirukanya y’emirimu, obutaba n’avunaanyizibwa ku nzirukanya ya nsimbi ng’asanga y’akwata ssente, obutawa basomesa misaala n’okuyingiza abayizi ab’ekibogwe abatatuusa bubonero busaanidde muyizi kuyingira yunivasite. Yunivasite eno yatandikibwa ku musingi gwa Kkanisa ya Uganda mu 1996 ku CMS e Iganga nga kati lirina abayizi 2,500. Erina amatabi amalala okuli Kamuli, Jinja , Lugazi naye olw’emivuyo, ery’e Kaliro ne Pallisa ge gaasooka okuggalwa. Kadaga, nga ye ssentebe w’olukiiko olufuga yunivasite eno, agamba nti baayagala okuyamba Abasoga abaavu okuweerera abaana baabwe, bafune satifikeeti, dipulooma ne diguli okwewala ez’ewala ez’ebbeeyi. Ekkanisa nayo yali yaakufunamu emisolo, okuwa abantu emirimu, abagagga bapangise abayizi hositeero ne bizinensi endala zitojjere. Moses Isadha, omusuubuzi mu kibuga ky’e Iganga agamba: Wano waafuuka mpuku ya banyazi, wakati mu basomesa okwekkokola amyuka Cansala, Polo. David Lameck Kibikyo okutta yunivasite. Ku ttabi ery’e Kamuli, ennimiro ez’okusomerako zaazika ne zifuuka zzaaliro lya mmese na misu. Ate bwe gutuuka ku ssamba y’emicungwa n’emiyembe eyalina okukozesebwa abasoma ebyobulimi kizibu okwawula ebibala bino ku miti emirala. Ekisaawe ky’omupiira kimaze emyaka etaano nga tekisaayibwa, kyafuuka nsiko. Ente eziyigirwako abayizi oyinza okugamba baaziggye mu ddungu anti zaakonziba. Omwaka oguwedde, abayizi ku ttabi ly’e Kamuli beekalakaasa, bwe baamala wiiki ssatu nga tebalaba ku basomesa, ng’ate fiizi baazibakandanga. Bwe baakubiranga abasomesa nga babaddamu nti ekibagaana okujja babanja emyezi munaana n’omusobyo, n’ekyaddirira abayizi kwekalakaasa. Baazingiza avunaanyizibwa ku byensoma, Sofia Zikusooka mu ofiisi ne bamuggyamu engatto ne bamutuuza wansi ne bamusibira mu ofiisi okumala essaawa ttaano. Baagenda okubaggulira ng’entuuyo zibayiseemu ne babawa nsalessale basikirize abasomesa badde. Merita Namwase agamba: Baatimba abaayita ebigezo kyokka nga tekuli bivudde mu bigezo, bwe babuuza Kyambogo ebaddamu nti ebanja ssente kyokka ffe twasasula. Abasomesa bangi baayuuya naye waliwo Polof. Kibikyo b’attira ku liiso n’abasasula kkaasi mu nkiso. Nali sikyasobola ku gumiikiriza ku mpisa ng’ataasoma Moses Gulere, eyasomesaako ku ttabi ly’e Kamuli agamba: Yunivasite yali etabuse nga tukola ng’abataasoma. Embeera teyali nnungi ne tumala ebbanga nga tubanja kwe kufuna gye nzirukira abasobola okussa ekitiibwa mu bye nkola”. Kigambibwa nti Polof. Kibikyo ettendekero yalifuula lya famire, nga muwala we, Lucy Nakisuuyi ye mubalirizi w’ebitabo, muganda we Samuel Waiswa y’amyuka omuwandiisi wa yunivasite kyokka teyabayisa mu mitendera. Omwaka oguwedde, ssentebe w’ekibiina ky’abasomesa ku yunivasite, Thomas Mayende yasaba poliisi ebuulirize ku Kibikyo akulira yunivasite. Ku Polof. Kibiikyo by’akoze, byogerwa mwe muli okumala gagoba abakozi ekireetedde ebitongole ebimu okutambula nga biwenyera olw’okubiteekamu abantu ab’ekibogwe. Okugeza, mu 2015, yagoba Frank Nabwiso, eyali omuwandiisi wa yunivasite awatali nsonga nnambulukufu n’amusikiza Dr. Samuel Bagabo bwe baazirunda. Nabwiso yaddukira mu kkooti n’asinga omusango era obukadde bw’abanja busoba mu 150. Bamulanga obutawa basomesa abato mukisa okweyongerayo okusoma, atwala mikwano gye ate abakuze mu myaka! Mu lukiiko lw’okutema empenda okulaba ng’enjuyi eziri mu nkaayana zikkaanya, sipiika Kadaga lwe yatuuza gye buvuddeko, yalemereddwa okubaggatta. Baasabye akkirize Kibiikyo adde ebbali poliisi emubuulirizeeko n’agaana ne batabuka n’okumulangira ebikankana. Yunivasite eri ku musingi gw’Ekkanisa ya Uganda naye terina mannyo. Omulabirizi wa Busoga eyawummula, Dr. Sosan Michael Kyomya atuuzizza enkiiko eziwerako ne zitavaamu kalungi. Mu ngeri y’emu, egwa olubege n’etewuliriza ludda lw’abasomesa yadde abayizi, nti ogwayo kulyowa myoyo, si byanjigiriza. We nakwatira enkasi, yunivasite yalina ebbanja lya buwumbi butaano era kye kyatwala ettundutundu lya ssente. Amabanja nasikira masikire nga ku gano kuliko aga Pay As You Earn (PAYE) n’aga National Social Security Fund (NSSF). Amabanja gano simanyi lwe gaggwa kuba n’ebizibu byongera kwetuuma. Banvunaana okuwa muwala wange Lucy Nakisuuyi ekifo naye natunula nga sirabawo atuukana na kifo. Ate ensonga z’okutwala abakuze okwongera okusoma ezo sijja kuzoogerako kuba ziri tekiniko. Nzaalwa y’e Busoga ng’alina diguli eyookusatu mu byenfuna. Yakolerako ku yunivasite e Makerere, e Rwanda, bwe yakomawo n’asikira Polof Christopher Bakwesegha ku Busoga yunivasite. Alina ehhombo ye egamba nti, “Ekibi ekikyo kisinga ekya mwiino ekirungi,” (ekibi ekikyo kisinga ekya munno ekirungi). Okulonda Cansala anaakola ku nsonga z’abayizi, abasomesa n’enzirukanya y’emirimu. Wabeewo enkola ennungamu okulinnyisa abasomesa amadaala. Baleete abasomesa abatendeke ate basigaze n’ababaddeko abayivu ekimala. Okulonda olukiiko olufuga yunivasite ng’amateeka bwe galagira. Okuwandiisa amatabi ery’e Jinja ne Bugiri era zissibwemu buli kalonda eyeetaagisa. Alipoota ezirambika ensoma y’abayizi n’ensomesa zirina okukolebwa. Pulogulaamu ezitali mu nkola zitegeezebwe akakiiko. Okulaba nti aba diguli basoma emyaka esatu so si myezi mukaaga. Yunivasite erage bw’egenda okuvvuunuka ejjengo ly’amabanja, n’ekiddako ng’egamaze. Bateeke okunoonyereza okukoleddwa abasomesa mu mikutu gy’amawulire. Basseewo obukiiko obw’enjawulo obwa “senate” nga bulina ebbeetu okukola emirimu gyabwo. Balambike engeri y’okufuna “Chater” ey’abalema okufuna mu myaka 20. Balage engeri gye banaakolamu emirimu nga bakkaanya. Bassseewo akatabo akanaagobererwa okukola ku nsonga z’obusosoze mu bakozi. Abasomesa abaana wano e Buganda babagobye lwa kubanja omusaala gwabwe ogwemyezi munaana! Abasomesa nga beekalakaasiza mu maaso g’omu ku bakama baabwe, Benjamin Musasizi. Abasomesa ku ssomero lya Humble United Methodist School ku kyalo Lukojjo mu ggombolola y’e Nama mu disitulikiti y’e Mukono bavudde mu mbeera ne beekalakaasa. Entabwe eva ku bakama baabwe butabasasula. Abasomesa abakunukkiriza mu 20 okuli n’abakozi abalala ku ssomero lino nga bakulembeddwaamu abadde omukulu w’essomero, Marion Taaka be beekalakaasizza nga bagamba nti okuva mu June omwaka oguwedde tebasasulwangayo wadde omunwe gw’ennusu. Bano bagamba nti bwe baavuddeyo okubanja ku nsimbi zaabwe eziwera obukadde 66, bakama baabwe baabawandiikidde mabaluwa nga babagoba so nga eby’okubasasula tebabirowoozaako n’okutuusa kati! “Kyanneewuunyisizza okuwulira nga bakama bange bawandiika abasomesa abapya n’abayizi nga nze abadde omukulu w’essomero okumala ebbanga ddene sirina kye mmanyi nga ne ofiisi nze nkyagirimu kuba sigibakwasanga. Ate bwe twabasabye batusasule tugende, baatuwadde mabaluwa gatugoba nga kwe batadde n’okututiisatiisa nti ssinga tetugenda bajja kutufulumya ku mpaka. Eryo ejjoogo tuligaanye,” Taaka bwe yannyonnyodde. Bano baataamidde bakama baabwe okuli akulira olukiiko olufuzi olw’essomero, Benjamin Musasizi ne Moses Dhikange nga baagala kubalya bunyama nga babasaba babasasule balyoke balowooze ku by’okubagoba. Essomero lino liri wansi w’enzikiriza ya Methodist Church nga likulirwa Bishop Daniel Wandabula. Abasomesa n’abakozi nga beekalakaasa, baawandiise obubaka ku bipande obubanja omusaala ng’era bagamba nti beetaaga ekintu kimu, kusasulibwa omusaala bave ku ssomero lino bagende banoonye emirimu awalala. Baatuuse n’okukaaba nga bagamba nti ebbanga eryo lyonna lye babadde bakolera ku ssomero lino, abalikulira baabagambye tebabamanyi nti bo bamanyiiko abakozi 5 bokka! “Nnina ennaku ku mutima kuba mbadde nkola ku ssomero lino ng’omufumbi, ebbanga lyonna tubadde bakkakkamu nga tulina essuubi ery’okutusasula naye liweddewo bwe batuwandiikidde amabaluwa agatugoba. Nnina abaana abalina okugenda ku ssomero ku Mmande. Ddala bagenda kusoma batya nga sirina ssente!” Hope Nanjobe Babirye bwe yalombozze. Omukulu w’essomero, Taaka yagambye nti lyali liteekebwamu ensimbi abamerika kyokka ne balyabulira mu 2012 oluvannyuma lw’okukizuula nti ensimbi ze baali baweereza zaali zibulankanyizibwa abamu ku bakulembeze mu ssomero lino. Kaweefube w’okwogerako n’abakulira essomero lino yagudde butaka olw’abo abaabadde ku ssomero okukaayuukira owaamawulire ne bagaana okubaako kye boogera ku nsonga zino. Amazima kubunafu obuli mu byenfuna kunsonga esomesa abaana mu Uganda evuddeyo. Naddala egamba nti abaana e Uganda basomera bwerere. Ate no nabo abasasula mu masomero ga private bo abasomesa basomeseza bwerere. E Buganda wano eriyo bangi abewana nti bo bakolera bwerere olwomwoyo ogwagala ensi yabwe. The deputy head teacher at St Julian High School, Stephen Owori, recently told The Observer cases of theft have been resolved through a solution many students were initially opposed to. St Julian students would go to the dormitories with pocket money ranging from Shs 70,000 to Shs 150,000 each term. Today, the vice is history after the school embraced a smart application dubbed LipaMobile, which uses plastic smart cards to make transactions. “Parents no longer need to give hard cash to their children. [Instead] they send money to the card by dialing *270*77# on their phones … [after this, they are able to] monitor purchases made by the child through a text message sent after every transaction at the canteen,” Owori said, adding that theft of pocket money has reduced by almost three quarters since the school embraced the technology for the last one year. 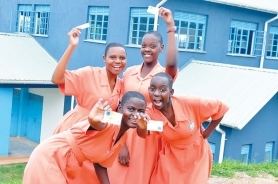 Nabisunsa Girls' School students pose with their LipaMobile cards. A similar service was recently introduced at Nabisunsa Girls SS as Lenard Butsiba, the schools’ head of Chemistry, explains. “It is now a school policy that all children must own a LipaMobile card instead of bringing hard cash. We use the cards as a gate pass, at the sickbay, library and in the dining hall to access meals and control doubling by some students,” he said. Each card costs Shs 20,000 and a student can use it for up to six years. If a student decides to leave the school to join another that does not have the system, a parent can withdraw all the savings on the card at the school premises. The card is also being developed to embrace other uses. One of these is as a means of registering entry and exit into the school premises. As a gate pass, a student swipes their card at the gate and this sends a message to the parent, indicating that the student has checked in or out at a particular time. “Parents can be able to determine the time it will take their children to reach home. By doing this, the cards control some errant children that would meander around the city and reach home late or after some time,” Butsiba said. Laban Jemba, the chief executive officer of LipaMobile, who shared more on the service options of the application at Imperial Royale hotel in Kampala recently, said 15 schools use the smart cards so far and 23 more have registered to get started. “Digital migration is an irreversible trend and the way to go. By students not having cash at hand, it is not easy to lure them into indiscipline actions that involve money like buying alcohol and marijuana, among others, since they need a swipe machine to withdraw money,” Jemba said. Some of the schools that are actively using the system are Baptist High School, Zzana, Trinity College Nabbingo, Irma Pfeiffer Bweya High School and teachers at King's College, Budo. Schools that have registered to start using the application this year include Uganda Martyrs SS Namugongo, Kawempe Muslim High School, St Lawrence School Ssonde, Viva College Jinja, Trinity Academy, St Augustine College Wakiso, and Mt St Henry’s High School in Mukono. According to Jemba, parents are also able to obtain students’ academic reports, disciplinary reports, school announcements and class attendance, among others, using LipaMobile application on their mobile phones. “While students can easily get pocket money on their card, a parent can also set spending limits [the times a child can withdraw money] from the card,” he said. To some parents, LipaMobile is a welcome development as it will enable them to monitor the growth of their children into adults. According to Tina Musuya, LipaMobile enables parents to assess how their children are developing into adults. However, she thinks the development should be taken with a pinch of salt. Musuya, who is also executive director at Centre For Domestic Violence Prevention (Cedovip), argues that the app will enable some parents to stalk their children. However, Patrick Kaboyo, a retired teacher whose daughter will soon join secondary school, is excited that the application will give him more opportunity to guide her development. “The students will be excited about the facility, and forget their need to act responsibly,” he said. However, he agrees that there is a need to treat the advantages derived from LipaMobile with care. On the extreme end, Diana Kagere Mugerwa is opposed to some of the advantages derived from LipaMobile. However, Esther Batenga, the client support manager of LipaMobile, said the application continues to be challenged by teachers in some schools. “Parents would send pocket money via mobile money on teachers' phones and give them some money as well. Now, when they realised that they can no longer cheat the parents with cards, they are fighting the system,” Batenga said, urging parents to embrace the application in order to follow up on their monies to students. Currently, LipaMobile is in talks with several supermarket owners to ensure that students are able to use the same cards for school shopping. Omuzungu Polof. 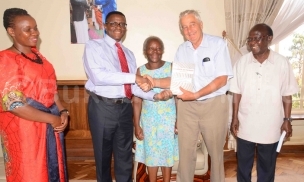 Alan Hamilton ng'akwasa Katikkiro Charles Peter Mayiga Ekitabo kyeyawandiise ekiyitibwa Luganda Dictionary. Babadde mu ofiisi ye e Bulange- Mmengo ku Lwokuna January 19,2017. Ku kkono ye Dr. Prosperous Nankindu Kavuma, Minisita Omubeezi ow'ebyenjigiriza e Mmengo. Ku ddyo ye Dr. Keefa Ssentoogo okuva mu Kibiina ky'Olulimi Oluganda. Wakati ye Noami Hamilton Namisango nga bwebawandiika ekitabo kino. KATIKKIRO Charles Peter Mayiga agambye nti Obwakabaka busanyukira kaweefube yenna akolebwa okutumbula olulimi Oluganda era n'ategeza nti buno buvunanyizibwa bwa buli muntu. Bino yabyogeredde mu ofiisi ye e Bulange - Mmengo ku Lwokuna Janaury 19, 2017 bwe yabadde ayanjulirwa Ekitabo; Luganda Dictionary & Grammar, ekyawandiikiddwa Omungereza Polof. Alan Hamilton ng’ayambibwako Naoe Namisango Hamilton, Cephas Ssentoogo, David Ssewanyana, Phoebe Mukasa ne Christine Kabuye. Mayiga yatenderezza omulimu ogukolebwa Ekibiina ky’Olulimi Oluganda olw’amaanyi ge kitadde mu kutumbula olulimi luno era n'abasaba okugenda mu maaso n’omulimu guno. Ye Minisita Omubeezi Ow’ebyenjigiriza e Mmengo, Dr. Prosperous Nankindu Kavuma yategeezezza nti Obwakabaka bugenda kubagawo enteekateeka y’okwagazisa abantu okuwandiika ebitabo mu Luganda. Dr. Nankindu yasabye n’abaawandiise ekitabo kino ate n’okugenda mu maaso n’okuwandiikayo ekitabo ekinnyonnyola ebika by’ebirime n’eddagala ery’enjawulo mu Luganda. Omuwandiisi w’ekibiina ky’Olulimi Oluganda, Dr. Keefa Ssentoogo yategeezezza nti Omuzungu okuvaayo okuwandiika ekitabo ekirimu ebigambo by’Olungereza n’Oluganda kyakusomooza era ng’ekibiina baagala okwagazisa abavubuka okwenyigira mu mulimu gw’okuwandiika ebitabo. Ono Kattikiro alabika alimabega nyo kunsonga yolulimi Oluganda ate nekunimmi endala munsi yonna. Digital computerasation mukuyiya okwenaku zino oyogera lulimi lwo computer neluvunula munimi endala ezisukka emitwalo 2. Kakati gwe olulimi lwo olwakakolebwamu DICTIONARY YE KITABO nga oli mabega nyo. Abakugu ba software programmes abali kumisinde ejiyiya munsonga za international communication systems bolina okwekwatako nga gwe ayagala olulimi lwo lutegerebwe abantu abangi munsi ya bajjajja bo. The Minister for Presidency Esther Mbayo has refused to commission a school building that was constructed at Achaba Technical School in Oyam District over shoddy work. Ms Mbayo was on Wednesday invited by Oyam District authorities to commission the building that houses a multi-purpose hall, offices and school library which was constructed through a pledge by President Yoweri Museveni. However, on inspecting the building, the Minister found that the work was incomplete and poorly done. The floor of the building and some walls had cracks, the ceiling had not been fixed and all the six toilets are incomplete. The minister was disappointed to learn that Multi-line Construction Uganda Limited, a Kampala-based construction firm that was sourced by the Ministry of Education and Sports had received all the money despite the poor work. She wondered how and why the engineer who monitored and supervised the work would give the contractor the certificate for completion of the work. She blamed the district engineer and the school management Board for failing to supervise the work. However, Oyam District Engineer explained that the work was directly supervised by the engineers from the Ministry of Education and Sports who he identified as Emmanuel Okello and Milly Okot. Mbayo promised to appoint a committee of inquiry to investigate the manner in which the contractor was sourced and promised not to exonerate those implicated. The minister was on Wednesday in a fact finding visit of government initiated programs in Oyam district. On May 5th 1999, President Museveni visited the school and found the community who had just returned from the Internally Displaced People's camp struggling to put up the building when he pledged to support them with the completion of the building. A budget was submitted to him and in the financial year 2011/2012 he gave 213 million shillings to complete the work. To date the work has not yet been completed. Museveni's support was part of his efforts to revamp the school that was vandalised by the rebels of the Lord Resistance Army in 1996. More than 20 students were abducted in the raid. Five of them died in captivity including James Oming, Stella Aceng, Harriet Akuti, Christine Aou and one identified only as Okiye. Meanwhile, seven of the abductees returned home. They include Okwir HP, Ketty Ayer, Betty Ejang, Martin Obel, Patrick Atim, James Adoko and Abong. Later this week, many parents will be in a panic as they prepare to send their children back to school for the second term. And there are many reasons for the panic. For one, there is a cluster of parents who are yet to raise the tuition fees required to return their children to school. This class of parents will attempt to persuade their head teachers to accept the students with some portion of the tuition fees. However, in this class has some who are yet to complete payment of tuition fees for the first term. To the casual observer, these parents are ultimately unserious about their children’s education. However, the reality is much more worrying. With schools increasing tuition fees each year, many parents are finding it harder to keep their children in the institutions of their choice. And the government hasn’t helped matters much. Many bureaucrats, who send their children to better-performing government-aided schools, insist that the state has made access to education available through the universal primary education programme. The irony in this is quietly ignored, as they decline to comment on the poor quality of education provided by most state-aided schools. Many parents are looking for good-quality schools, including those who cannot afford the increasing tuition charged there. The second cluster of worried parents includes those who will have to endure several hours in bad traffic, to get their children to school. Poor state planning has meant that these parents will find themselves bunched on poor and narrow roads for several hours, as they head to the schools and then back, to raise the next tranche of tuition fees. It is very revealing that for both sets of worried parents, there is no clue when the state will come forward to give formal guidance on how to resolve these problems. It is a clear indicator that as much as these issues are stressful to parents, they will not become a priority for a long time from now. It is clear that most African Parents are taking for granted what is happening badly in the country of Uganda. Like it was some years ago in a segregated Southern Africa, it was the up-coming children and grandchildren of Africa who came out to change their country's future. Bukomansimbi has 73 government-aided primary schools and 66 private primary schools. It has seven government-aided secondary schools and 22 privately-owned secondary schools. It has a private nursery teachers college at Misanvu in Kibinge Sub-county. It is a single constituency or county comprising the sub-counties of Bigasa, Kitanda, Butenga and Kibinge. Bukomansimbi is a new district recently curved out of Masaka District. It borders Kalungu District to the east, Lwengo to the south-west, and Masaka District to the south-east. Two major roads go through the district, one from Masaka to Matete in Sembabule District and another from Masaka to Sembabule Town. The roads are not tarmac but they are the lifeline of commerce and transport for the district’s other economic activities which are mainly centered on farming. The district is a major producer of coffee, dairy products and bananas. Bukomansimbi Town Council, one of the young district’s, small urban centres, is the district headquarters. Quite unique to the district, is that it is also a single constituency or county comprising of the sub-counties of Bigasa, Kitanda, Butenga and Kibinge. With about 120 polling stations Bukomansimbi is said to be the largest rural constituency in the country. The district’s major sources of revenue are trade licences and property tax which contribute to only 2 per cent of the budget, according to district chairman Hajj Muhammad Kateregga. Only about 10 per cent of the population has electricity in their homes while 78 per cent may be said to have access to safe water (from boreholes and protected spring wells). 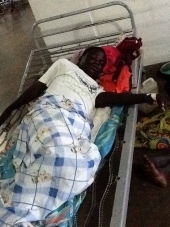 Residents in Bukomansimbi District have protested the poor health care services at Butenga Health Centre IV. Scores of patients and attendants at the health centre complained of non-availability of doctors, lack of drugs, inadequate lodging and poor sanitation. The district has only one health centre IV which serves the total population of about 154,000 but the unit is incapacitated with lack of health workers and poor health care services. The health centre is overwhelmed with patients and a visit from this newspaper found some mothers lying in the compound while some other patients were found sleeping on torn mattresses. The in-charge of Butenga Health Centre IV, Dr Alfred Tumusiime, said the centre was neglected with no residential doctors who could carry out operations and monitor patients. He said the infrastructure was lacking and dilapidated with patients sleeping on the floor due to lack of beds. He said they receive a monthly average of 300 out-patients, 200 in-patients and about 55 maternal patients at the health centre despite the inadequate health facilities. Most cases, patients are referred to Masaka hospital because the district has only two senior doctors while other health workers come to the health centre once in a while due to lack of accommodation. East African Legislative Assembly representative Fred Mukasa Mbidde and Bukomansimbi Woman MP Suzan Namaganda paid a visit to the health centre last week and calmed the patients. They donated 30 hospital mattresses to the health unit in an effort to improve on the health services in the district after the government delayed to offer support. Mr Mbidde said many doctors and nurses have lost morale due to poor pay and that is why patients do not get adequate health services. Okusoma kwabaana mu nsi Uganda tumanyi nti waliwo okusoma newankubadde nga abazadde bo mwaana tebasobola kusasula sente ezetagibwa omwaana ono okusoma. Abo bo abazadde abasobola okusasulira abaana babwe omuwendo gwa sente zonna ezetagibwa olwokusoma kwabwe abaana babwe bo bagenda bulungi mumaaso nokusoma kwabwe nga bulijjo. Obuzibu webuli nti abaana abatasobola kusasula sente zibasomesa tebafuna kusomesebwa bulungi nakamu. Ate nga bo abaana abasobola okusasula buli bwetavu bwa sente musommero basomesebwa bulungi ddala. Abaana abali mubuzibu buno obwa sente mubulamu bwabwe obwomumaaso tebujja kuba bwamuganyulo eri bo ate era n'ensi ya Uganda okusinga obulamu bwa baana abalina omukisa ogwokusoma obulungi. Kisanidde abaana bonna bafune omukisa ogwenkanankana okusobola okwetegekera obulamu bwabwe obujja munsi nga bakuze. Ensonga eno nkulu nyo eri abatuuze b'ensi ya Uganda abasasula omusolo governmenti eno okulaba nga eddukanya bulungi mubwenkanya ne mu buvunanyizibwa bwayo eri abantu b'ensi eno mukubawereza. Officials from the Ministry of Education and Sports were shocked to learn that teachers in some schools in Nakaseke district sleep in classrooms. They were told that pupils who report to school early have to wait outside until teachers remove their bedding and sweep the rooms before lessons begin. During a meeting with school management committees (SMCs), Parents, Teachers' Associations (PTAs) and the head teachers of primary, secondary schools and tertiary institutions at the district headquarters on Friday, the officials could not believe many teachers turned classrooms into their bedrooms at night. The head teachers said lack of teachers' houses was one of the challenges affecting performance in the Primary Leaving Examinations. Led by the director for education, Hajj Yusuf Nsubuga, the officials heard that some teachers walk for over 7kms to their duty schools, missing out when it rains and most times getting to school late. "As an option, some teachers have come along with their bedding and turn classrooms into bedrooms when pupils leave," a parent who refused to be named, reported. The ministry organized the dialogue to explain government policies, get feedback from different stakeholders for a way forward in efforts to improve education standards in rural areas. The district education officer, Stephen Batunudde said school infrastructure in many areas was inadequate. Nsubuga however said the country was facing acute shortage of Science and Mathematics teachers after those available went for greener pastures yet the ministry has not been permitted to recruit more teachers to fill the gaps. The minister of information and national guidance, Rose Namayanja who is the Nakaseke district Woman MP, donated a cow to Ellen White Bright Future that emerged best in last year's Primary Leaving Examinations with 34 candidates in division one and Kaloke Primary School under UPE that got eight pupils in division one. She appealed to parents to contribute funds for their children's lunch but cautioned head teachers against chasing away children whose parents default. "I believe the children can perform very well but non-supportive parents are the problem. Let us stop lamenting about the poor standards of our schools. It is me and you to change it. How do you expect children to pass when you don't cater for their lunch?" she asked. She advised LCs to pass bylaws compelling parents to feed their children at school. Abaana badduse mumasomero ga bonna basome. AMASOMERO ga gavumenti agali ku nkola ya bonna basome mu disitulikiti y’e Kayunga abayizi bagadduseemu ne beeyuna okukola emirimu gy’obupakasi n’ebirala. okukola n’okulongoosa omutindo gw’ebyenjigiriza mu kitundu kino. ekisinga obunene eky’ensimbi era ng’omwaka gw’ebyensimbi guno byaweereddwa obuwumbi 12 n’obukadde 43 ku bajeti ya disitulikiti yonna ey’obuwumbi 19. Nalunga agamba nti newankubadde ssente mpitirivu obungi eziyiibwa mu byenjigiriza e Kayunga, bikyagaanyi okutambula obulungi. be bakolerera bakadde baabwe nga bapakasa ssente ez’okulya mu kifo ky’abazadde okukolerera abaana be bazaala,” Nalunga bwe yagambye. nga bagenderera okufuna ebyobugagga ate abali okumpi n’omugga Kiyira n’ennyanja Kyoga bagenda mu buvubi. Amasomero agamu tegalina bizimbe abaana mwe basomera era nga kino nakyo kiremesezza ebyenjigiriza okutuuka ku mutindo ogwetaagisa. Nalunga agamba nti mu mbeera bwetyo, disitulikiti ekolera wamu n’abasomesa okulaba ng’esitula omutindo gw’ebyenjigiriza n’okusinga mu Kayunga Town Council ne mu ggombolola y’e Kangulumira. erisooka ate abayizi 2,296 tebaatuula bigezo oluvannyuma lw’okuwanduka mu masomero. Akulira abakozi ba gavumenti e Kayunga, James Nkata agamba nti ebyenjigiriza e Kayunga bikyalina ekizibu ky’abasomesa ab’ebicupuli nga muno mulimu abaajingirira empapula z’obuyigirize ab’empewo nga balabikira ku nkalala okufunirwa emisaala kyokka bw’ogenda mu masomero ago tobasangayo wabula nga kino disitulikiti ekifubyeko okukirwanyisa. 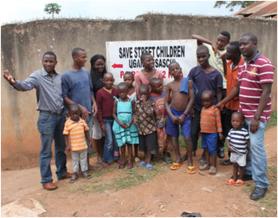 KCCA tasked to enact ordinance on handouts to street children. To curb the continuous movement of children from their respective homes to city streets, Civil Society Organisations have asked Kampala Capital City Authority (KCCA) to quickly enact laws stopping the public from giving hand-outs to street children. Anslem Wandega, executive director, African Network for the prevention and protection against child abuse and neglect (ANPPCAN-Uganda) said children and some women continue to trek city streets because they are motivated by the hand-outs they get from people. “Some of these children and families that come to the streets are motivated by the hand-outs they get from the public and that is why some of them come back to the streets even after being reintegrated back to their families. We call upon KCCA to enact ordinances stopping the giving of hand-outs to these children and by this, we will curb the trafficking of children for economic exploitation,” said Wandega. He was speaking during a public dialogue to commemorate the International day for street children whose theme was “If the world was listening, what would you say? The event that took place at CHOGM Grounds, near Parliament in Kampala on Friday brought together a big number of former street children who shared their sad stories about the life on streets. Busulwa, 12, a former street child said life on the streets is not a conducive for a child to grow up in and claimed that at times, city council enforcement officers ambush them, wrap them in sacks and take them to Kampiringisa. Harriet Mudondo, the director gender community and production at KCCA said the authority has put in place strategies to ensure there are no more children on the streets. “One of our strategies will be to sensitise the general public about the dangers of a child living on the street so that the public stops giving them money,” said Mudondo. She also added that KCCA is going to increase patrolling of the streets as another strategy to ensure that no child is on the streets as this exposes them to dangers like defilement, kidnap and child sacrifice. Commenting on the issue of wrapping-up children in sacks, she said she was not aware about it, adding that when enforcement officers are trying to get street kids off the streets, some of them put up a lot of resistance which sometimes leads to fights with the officers and that is when the children are aggressively handled. Abayizi ba New Junior Academy e Nagulu nga basoma. Lisangibwa mu ggombolola y’e Namayumba. Lirina ebibiina musanvu naye lirina ekizimbe kimu kyokka ekirabikako. Wabula ekizimbe kino kiriko ebibiina bibiri byokka. Amyuka omukulu w’essomero, Aloysious Ssekyanzi yategeezezza nti, ku musana abaana abamu basomera mu kizimbe ekiringa ekidaala ate abalala ne basomera mu miti. Enkuba bw’etonnya, abaana tebasoma kubanga abasomera mu miti n’abo abasomera mu kidaala bonna beggama mu kizimbe ekimu kyokka ekiri ku ssomero lino! Engeri olusoma gye lwakatandika, abayizi abasinga tebannatsndika era osanga abaana ab’ebibiina nga bina nga basomera mu kibiina kimu. Omusomesa oluyingira, ng’asomesaako ab’ekibiina kye, bw’afuluma ng’omulala ayingira nga naye asomesaako ababe! Ssekyanzi yayongeddeko nti gavumenti yatwala essomero lino mu 2001 era ezze esuubiza okuzimba ebizimbe naye tetuukiriza. Balina abayizi 250. Abayizi abasomera mu miti balwawo okutandika okusoma nga balinda omusana gwake, obusubi bukale. Ekimu ku bizimbe by’essomero lya St. Kizito Nakitokolo P/S abayizi mwe basomera. Lisangibwa Nagulu mu ggombolola y’e Namayumba mu Wakiso era lya bwannannyini. Lya Mw. David Magala. We natuukidde ng’abayizi abasinga tebannatandika kusoma. Balina ekizimbe kimu, kya ttaka ate kikadde nnyo nga kiyinza okugwa essaawa yonna! Kuno kwe bagatta ebizimbe ebirala bibiri eby’embaawo ng’ate ekimu kiriko biwempe bye bikola nga amabaati! Ku nkuba abayizi tebasoma kubanga ebizimbe by’embaawo bijjula mukoka olwo ne beggama ku kiri eky’ettaka ekikutte mu mbinabina. Kaabuyonjo y’abayizi nayo eneetera okugwamu ate bakozesa emu bonna abawala n’abalnzi. Lisangibwa mu ggombolola y’e Namayumba. Eno abaana abamu basomera mu kibiina ekitaliiko mabaati ate abalala mu kidaala. Omusomesa ku ssomero lino, Abdalh Aziz Bunya yategeezezza nti okuva lwe baafuna ekizibu ky’omuyaga ogwabambulako amabaati ku kizimbe ekimu, tebafunanga mabaati kukisereka. Enkuba bw’etonnya bayingira mu bibiina ebirala, ekitaataaganya okusoma. Lino lisangibwa mu ggomboloola y’e Kakiri. Balina ebizimbe bibiri ebiri mu mbeera embi ng’ekimu kya bbulooka ate ekirala kya ttaka. Omumyuka w’omukulu w’essomero, Muky. Ndagire Josephine yategeezezza nti akulira ebyokuzimba mu disitulikiti y’e Wakiso yabagaana dda okozesa ekizimbe eky’ettaka emyaka ebiri emabega naye tebalina we bayinza kuteeka baana era bakyakisomesezaamu. “Naffe abasomesa ekiseera bwe kituuka okugenda okusomesa mu kizimbe ekyo, emitima gitwewanika nga tutya nti kyandigwa ne tufiirwa obulamu bwaffe n’obw’abayizi,’ Ndagire bwe yategeezezza. Nalyo lisangibwa mu ggombolola y’e Kakiri. Omukulu w’essomero, Mw. Walugembe Edward yategeezezza nti ebizimbe tebibamala kubanga balina ebibiina ebigumu bibiri byokka. Balinawo n’ekizimbe eky’embaawo kyokka kiri mu mbeera mbi ddala. Kino kibawaliriza okugatta abayizi ne basomera wamu. Essomero lino liri kumpi n’ekitoogo era enkuba bw’etonnya amazzi gatuuka mu kizimbe kino eky’embaawo, abaana ne bakiddukamu. Walugembe yategeezezza nti awandiikidde abantu bangi ku nsonga y’obutaba na bibiina by’abayizi okuli n’omubaka w’ekitundu kino mu Palamenti, Gilbert Bukenya n’abakungu mu disitulikiti y’e Wakiso kyokka tewali kalungi kaavuddemu. Pupils of Kisanja Primary School attend a lesson under a tree. Posted Saturday, June 28 2014. Storm blew off the roof of the classroom they were studying from. 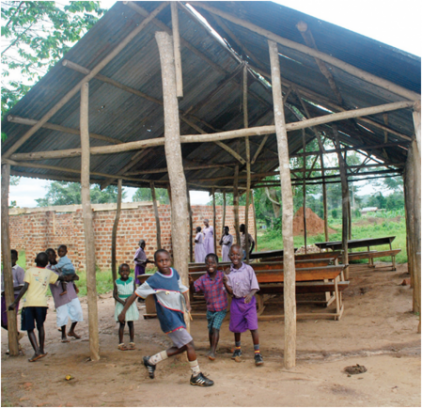 Teachers at Kisanja Primary School in Masindi District have been conducting lessons under a tree for four months since the roof of their four-classroom block was blown off by a storm. One of the teachers, who preferred anonymity because he is not authorised to talk to the media told this paper that whenever it rains, they call classes off. 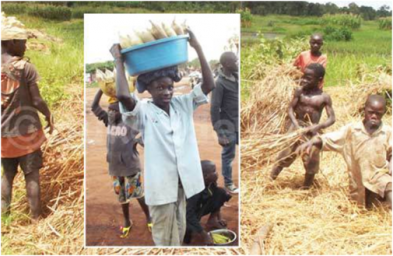 The mayor Masindi Municipality, Mr Joshua Amanyire, said recently the school’s problems have been escalated by a land wrangle with a neighbouring family. He said the school was built on land belonging to Kisanja Catholic Church, which has a land wrangle with the family of the late Kiiza Dwonga. The matter is before court in Masindi. “We cannot put up structures on the disputed land. We only pray the two parties come to an understanding,” he said. The new two-classroom block, which would have been used as an alternative remains locked. Mr Amanyire said the classroom block has never been handed over to the municipality by the contractor since its completion in December last year. The Masindi District education officer, Mr Francis Kyomuhendo, said the district needs a special fund to handle disasters. “The rate at which government and individual structures are being destroyed by disasters is high. There is need for intervention,” he said. Masindi District disaster focal person Jack Byaruhanga said each department at the district has been asked to integrate a disaster fund in their budget for the new financial year. Mr Byaruhanga said the district has made an assessment and repairing all the affected schools and buildings will begin soon. He did not name a date. Masindi District has lost many structures this year due to rains. Affected buildings include Masindi District demonstration centre at Kihonda, Nyakarongo and Kilanyi primary schools in Pakanyi Sub-county and Miramura Primary School in Bwijanga Sub-county. OMUGGA Lugogo oguli wakati wa disitulikiti ye Nakaseke ne Luweero gutadde abazadde mu kitundu ku bunkenke olw’abaana okugaana okugenda ku masomero nga kati basiiba bavuba. Omugga guno, oguyiwa amazzi ku nnyanja Kyoga, gumanyiddwa nnyo olw’emmale zaamu n’ebika by’ebyennyanja ebirala eby’enjawulo wabula nga kino kiwalirizza abaana bangi ssaako n’abantu abakulu okumala ebiseera ebisinga nga bali mu kuvuba sso nga tebalina kye bakwasaayo kitegeerekeka era ekisobola okubayimirizaawo olw’okuba tewali katale kategeerekeka. Abamu ku batuuze baategeezezza wiiki ewedde nti bassentebe b’ebyalo ssaako ne poliisi tebafudde ku baana abato abasiiba ku mugga guno nga bavuba mu biseera by’okusoma. Bagamba nti wadde ng’ebiseera ebimu bakwatamu emmale ennene ne bazitunda okuziggyamu ssente, kibayamba kitono ate nga baba beeyonoonede ebiseera byabwe eby’omu maaso. Ezimu ku mmale ezivubibwa mu mugga Lugogo zitundibwa okutuuka ku 30,000/- okusinziira ku bunene bwazo n’abeera atunda. The Norwegian government has asked the Ugandan Government to take over the community schools it helped improve and urged the community to make use of the schools. 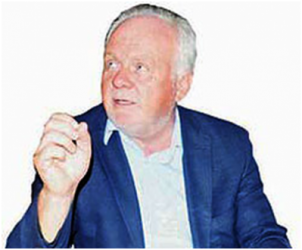 The Norwegian ambassador to Uganda, Thorbjorn Gaustadsaether in photo, made the call while handing over one of the 23 schools built in Acholi using about 8 billion Ugandan shillings that was refunded to Norway by the Prime Minister’s Office. The money had been mismanaged under the Peace Recovery and Development Plan for Northern Uganda programme. “The Norwegians were happy to help foster change in Acholi. We are happy that the children will continue to study. We have also provided teachers’ houses, which will reduce levels of absenteeism. "We are requesting the Government to aid the schools and pay teachers’ salaries,” Gaustadsaether said. A total of 104 classrooms were built and furnished in 23 schools. Twenty seven classrooms were rehabilitated. Others built were 230 latrine stances, 12 new offices and stores, 84 houses for teachers and three boreholes. The development was supervised by the Norwegian Refugee Committee. Atubamaki Anthony, the Amuru district chairman, called on the community to take good care of the structures. Martin Oroma, the area LC1 chairman, said they had been praying for a school in the community. “The President raised our pay last year to Shs300 billion and we thank him. Makerere University lecturers and officials of the ministries of Education and Finance are wrangling over the apportioning of the salary increment announced by President Museveni last year. According to Dr Muhammed Kiggundu, the Makerere University academic staff association chairperson, the wage bill for lecturers in all public universities were increased to Shs300 billion from Shs103 billion previously, representing an increment of Shs197billion. However, the officials of the ministries of Education and Finance were not comfortable with the pay rise. “The President raised our pay last year to Shs300 billion and we thank him. We negotiated for the deal and we know the money is there. The whole problem is that the ministry wants to ‘do their things’. They say how can we earn this money yet they also have similar qualifications. But we are not going to settle for less. We want what the President promised,” Dr Kiggundu told the academic staff on Friday. Both parties agree on how much the highest paid lecturer at the rank of professor should take home monthly, which is Shs15 million. However, the contention is on the pay for staff of the lower ranks. There is a big wage gap under the ministry proposal. For instance, while the ministry officials want an associate professor to get Shs5 million, his juniors; senior lecturer (Shs4 million), lecturer (Shs3.5 million) and assistant lecturer (Shs3 million), the least paid is to get Shs2.5 million. The lecturers are opposed to this. They argue that these wage rates are no different from what they had been earning previously and it would not make any impact on their welfare except for professor. The lecturers want the wage distributed as: Shs15 million for professor, associate professor (Shs13 million), senior lecturer (Shs11 million), lecturer (Shs9 million), assistant lecturer (Shs7 million) and the least paid to get Shs5 million respectively. In total, this will bring the annual wage bill for all lecturers in public universities to Shs289.2 billion while the former proposals will add up to Shs171.3 billion. According to Dr Kiggundu, the ministry is also considering paying the salary raise in phases, which he said they have rejected. “The ministry wants it paid piece meal; this year and next year. We want to work together. We want to serve. After this pay is effected, it is when government is going to utilise the lecturers to the maximum and reduce on the brain drain,” Dr Kiggundu said. The Ministry of Finance spokesman, Mr Jim Mugunga, said there are certain factors that must be looked at in the implementation of the salary increment. “I am not privy to the alleged negotiations between Makerere University lecturers, ministries of Finance and Education. The principle is that as an executive pronouncement has been made, the role of Finance and the Treasury is to operationalise it,” Mr Jim Mugunga said. “There are core considerations that have to be put in mind primarily the national coffers and how the resources can be distributed among competing and pressing priorities. My brief is that the proposal the Treasury may have made took that into consideration,” he added. Under the new proposal, there is no salary differences between science and non-science lecturers as has been the case. Previously science lecturers have been receiving higher pay than their arts counterparts. classroom. The classrooms are separated by poles. 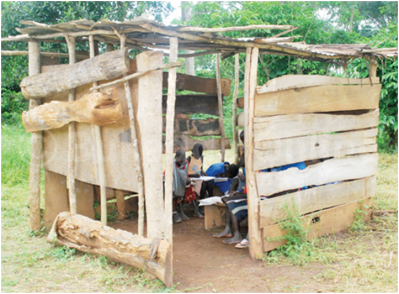 The government-aided school in the oil-rich Hoima District has only two structures which are falling apart. Hoima- It is a windy and sunny afternoon. Classes are ongoing at Kyehoro Primary School, one of the public schools in Hoima District. The government-aided school with an enrolment of 272 pupils, is located in Kabwooya Sub-county, about 92km from Hoima Town. The school which is in Nkondo parish in the Albertine grabben, is in the same village where oil explorers have discovered the Ngassa-1 Oil Well. Teaching and learning sessions in the P5 and P6 classes are under an iron-roofed shade that is built with poles. The teachers reveal that the sorry structure was built by parents. The floor in the classes is bare and dusty. But inside the classes, are also goats and sheep. While others are standing, other domestic animals are lying on the floor of the classes. The school’s Parents Teachers Association (PTA) chairman, Mr Isaac Oryema, who had turned up at the school for routine supervision, told this newspaper that, pupils sharing classes with domestic animals is not strange in the area. “The animals are from the communities where these pupils come from,” he explains. The community in the village is largely comprised of fishermen and subsistence farmers who live on the shores of Lake Albert and neighbour the Kabwooya-Kaiso-Tonya Game Reserve. The livestock farmers use a free-range grazing system where animals roam freely in communal grazing grassland. The school is not fenced and part of the school land is used by the community for grazing. Consequently, the animals stray into the school premises and often enter classrooms. The stray animals are a challenge to the health and environment at the school. They drop dung in the premises and classes. They destroy trees but parents and pupils seem comfortable with co-existing with animals at school. The school head teacher, Mr Robert Kugonza, said the school lacks adequate funds to fence off the school or maintain the compound. “Yes, these structures are in a sorry state however, we have accordingly notified district authorities,” Mr Kugonza said. He said parents are reluctant to contribute any funds to the government-aided school. Kyehoro Primary School implements the Universal Primary Education (UPE) programme. The school was started by the community in 1996 and basing on requests from the community it was taken over by government in 2004. 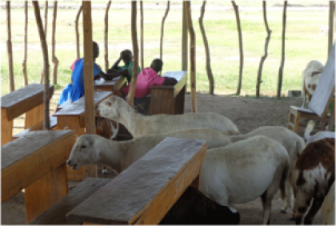 The roaming goats and sheep eat grass in the school’s compound which the authorities fail to regularly slash apparently due to inadequate funds which the school receives. An investigation by this newspaper reveals that domestic animals are not the only challenge at the school. It lacks any permanent structure. It has a shade that accommodates P6 and P5 classes. The P7 class which is in a mud and wattle house is also used by the head teacher as his office. Children in P1, P2 and P3 classes study in a wooden- structure, painted green. It is, however, iron-roofed but the floor of mud. Mr Kugonza says each quarter, the school receives an average of Shs1 million as UPE grant which is spent on instruction materials, co-curricular activities and administration expenses. Ironically, despite the sorry state of the school, statistics availed by the Hoima District education office reveals that it is one of the relatively good performing schools in the district. According to UNEB results obtained by this newspaper, Out of the 19 candidates that sat for PLE in 2012 at the school, eight passed in second grade, six passed in third grade, three passed in fourth grade and two were ungraded. In 2012, Kyehoro Primary school performed better than Butema BCS Primary school which has permanent buildings for all seven classrooms and offices. Out of the 43 candidates that sat for PLE, five got second grade,12 got third grade,four attained fourth grade,13 got U while nine were ungraded. In 2011, six candidates sat for PLE at the school and five passed in second grade while one failed. In 2010, out of the 12 candidates that sat for PLE, six passed in second grade, five got third grade and one was in fourth grade. The Hoima district Education Officer, Mr Godfrey Sserwanja, concedes that the school is in a sorry state but asked parents to be patient until Tullow hands over the new structures. “We anticipate the new structures to be handed to us by September. We have met parents and urged them to be patient,” he said. He however said parents who are impatient can temporarily relocate their children to Kaiso Primary School which is less than a kilometer away from the school. 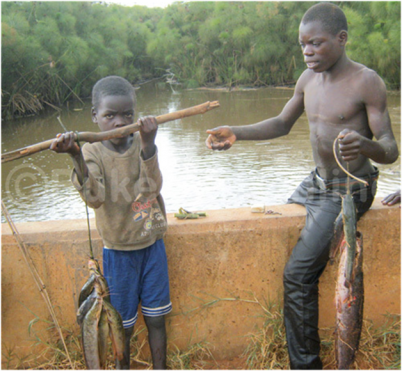 Mr Sserwanja said the community in Kyehoro loves education, teachers are committed and parents who are mainly fishermen provide scholastic materials and food to their children. He said that explains why it is performing better than some schools that have permanent structures, have adequate teachers and are near Hoima Town. “If we send the best teachers and adequate teaching instructions to those rural schools, where children feed on nutritious food unlike town-based pupils who go without lunch and stay at school playing during lunch time, we can tap some of the best brains of this country,” he said. Uganda is one of the countries in the world that committed itself towards achieving the Millennium Development goals. Goal 2 requires countries to achieve Universal Primary Education. “Ensure that, by 2015, children everywhere, boys and girls alike, will be able to complete a full course of primary schooling,” Target 2.A of the goal states. The learning conditions at Kyehoro Primary School call for the country to increase its support to schools with such sorry conditions in order for Uganda to achieve the goal. According to the school headteacher, Mr Robert Kugonza, parents are hesitant to contribute funds to improve facilities at the school because Tullow Oil, a firm that discovered commercially viable oil deposits in the area, is building structures for the school about 300 metres away from the current school. Tullow Oil Uganda’s communications executive David Onyango says the school will be finalised by the end of this year. As part of its social investment, Tullow oil is building four classroom blocks, a Kitchen, six staff houses and four VIP latrines for the school. “Social Investment is a social performance tool for managing social impacts associated with our operations and leveraging the benefits which our business can bring to host countries and communities through education, local content and capacity building initiatives so that people can participate in the industry supply chain. To that end, Tullow Uganda is implementing infrastructure projects in Buliisa and Hoima districts to support community development in the EA2 operation area,” Mr Onyango said in an email response to this newspaper about the company’s interventions in the area. 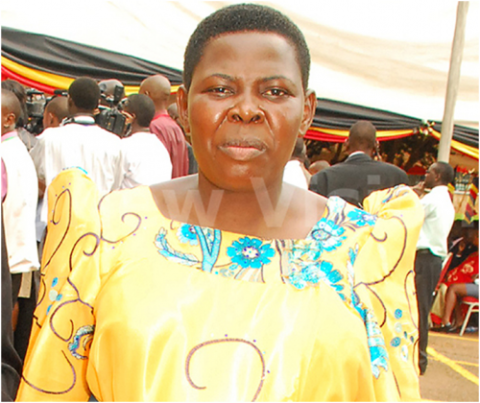 Hoima District has 135 government-aided primary schools and 120 private primary schools. This year, the district has a total enrolment of 79,355 pupils. According to Mr Sserwanja, the district has a teacher to pupil ratio of 1:58 compared to the national average of 1:53. While the national desk to pupil ratio is 1:3, Hoima’s ratio is 1:5. He said Hoima’s classroom to pupil ratio is 1:58 compared to the national average of 1:53.The pupil to book ratio is 1:6 in Hoima compared to the national average of 1:3. During the 2012/2013 financial year, Hoima District passed a budget of Shs19.7 billion out of which Shs8.8 billion was allocated to the education sector. During the 2013/2014 financial year, the district approved a budget of Shs21.2 billion out of which Shs9.8 billion was allocated to the education sector. The district’s budget for the 2014/2015 financial year is Shs21.2 billion out of which Shs9.5 billion is for the education sector. An analysis reveals that the budget for the education sector 2012/2013 financial year increased from Shs8.8 billion to Shs9.8 billion in the 2013/2014 financial year. However, it has reduced to Shs9.5 billion in the 2014/2015 financial year.The Midwestern regional Anti Corruption Coalition (MIRAC), a regional Anti Corruption agency has urged government to increase the budget for the health and education sectors. The coalition’s Programme Officer Mr Herbert Monday said under the Strengthening Citizen Urgency Project, MIRAC has documented cases of poor supervision, monitoring, inadequate scholastic materials, and absenteeism at various schools and health facilities in the district. Government issues new tough rules for private schools in Uganda's education systems. Ms Zaujah Ndifuna, addresses private schools teachers and owners in Kampala recently. Kampala-No proprietor will be licensed to start a private secondary school unless they have at least seven full-time teachers—three of whom should be teaching sciences or mathematics. Also, whoever heads a school must be a university graduate. The order is among a new set of guidelines the government has issued for people seeking to open private schools. On enrolment, one will only be allowed to open a private primary school if they have at least 55 pupils enrolled in each class while the minimum number for secondary schools is 40 students per class. According to Mr Ismail Mulindwa, an assistant commissioner in the Education ministry, the guidelines have been prompted by a recent survey which revealed that many private schools were operating in contravention of the Education Act 2008. New schools, according to the guidelines, will only be registered between October and December and registration certificate will be valid for only five years for secondary schools while primary schools will have to renew their certificates after every two years. “Proprietors intending to register their schools in any given year must ensure that their files are with us by June 30 of the previous year to enable us carry out inspection. Issuing of a new licence will only be done after revalidation of the school,” said Mr Mulindwa. For boarding schools, dormitories will be inspected and issued with an occupancy permit before students are allowed to take residence. Also to be affected is the nomenclature of schools. No school will be allowed to tag the title “college” or ‘academy’ to its name. A school will only use the title ‘college’ if its attached to a university or college to demonstrate skills taught there while an ‘academy’ will be one that offers a particular set of skills like military, music or drama. Mr Mulindwa said although the guidelines are for new schools, the older ones will have to comply with the directives before their current licences are renewed. For those that already have the title ‘college’ or ‘academy’, he said would be advised to change names. Reacting to the new guidelines, Mr Hassadu Kirabi, the head of research at the National Private Educational Institutions Association, protested the conditions on registration, saying they are unfair and will lock out many potential investors. “We agree with other changes but the issue of putting a limit on the period we are supposed to register is unfair. Registration is not a one-day deal and given the paper work involved, they should leave it open,” he said yesterday. In 2009, government closed a total of 398 schools for failure to meet minimum operational, safety and security standards as stipulated in the Education Act, 2008. This followed several school fires which destroyed property worth billions and in some cases—deaths of students. A recent report by the ministry revealed fewer private schools were adhering to set minimum standards compared to the public ones. Overall, 45.8 per cent of schools inspected were rated fair, followed by 27.7 per cent as unsatisfactory, 25.2 per cent scored “good” while only 1.2 per cent were rated very good. Also, grading of private schools in 2011 by government saw no school make it to the “excellent” category while only nine of the 2,073 made it to “class B”. Qualification: Matrons must have a minimum academic qualification of primary seven and not below 30 years. Fire: Erect secure fence and installing fire protection systems. Names: School names with a relationship with other countries /organisations will only be used with explicit written permission from embassies of those countries. 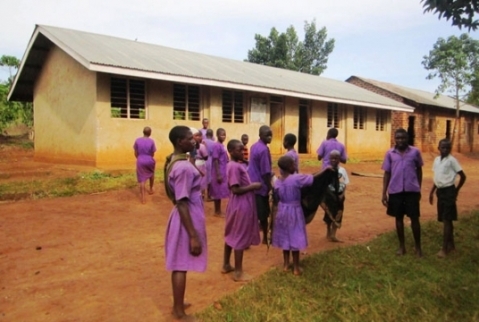 How Pupils and teachers in Uganda share the broken down outside toilet facilities. the lives of both teachers and pupils at a health risk. Community leaders under the Village Budget Clubs (VBC) in Katikamu Subounty, Luweero District have condemned the act of teachers and pupils in schools in Katikamu Subcounty sharing latrines. This they said infringes on both teachers’ and pupils’ privacy. The VBCs currently engaged in the monitoring process for the different community programs in the area claim that the inadequate latrine facilities has created a situation where teachers and pupils (both male and female) from schools in the area share the same latrine facility and thus should be addressed by both the parents and District leaders before it worsens. 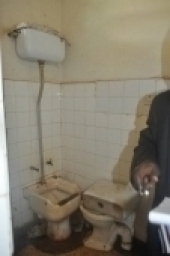 "We are very surprised that both female and male pupils plus teachers at Bukalasa C/U Primary School share the same latrine facility some of which have broken doors and almost filled up. Users risk contracting sanitary related diseases ", said Ms Nawume Nakandi the VBC chairperson. Luweero Distrct Education Officer, Ms Florence Bbosa Ssekitoleko tolds the Daily Monitor that her office was not aware of such a sensitive situation in any of the schools in the area. "It is true that we do not have enough funds to do everything in schools but some situations call for emergencies. The head teacher of that school has to explain this situation. He is not supposed to keep quiet in a situation which endangers the lives of both the children and the teachers", Ms Ssekitoleko said. However, Luweero District Council Speaker, Ms Prossy Namansa said her office will take up the matter to ensure that the situation is addressed before the pupils report back for third term. The District Chief Administrative officer, Mr George Eustace Gakwandi also said he would follow up on the matter to establish whether the affected schools are among the priority areas for support in construction activities. He also admitted that schools with such challenges could be many in the district. NNABBAMBULA w’omuliro akutte ekisulo ky’abayizi abawala ku ssomero lya St. Charles Lwanga SSS, Kasasa ebintu by’abayizi abasoba mu 200 ne bisirikka. Abayizi abawerako baazirise ng’ekisulo kino ekyamalirizibwa okuzimbibwa mu July w’omwaka oguwedde ne kibbulwamu Omutuukirivu Padre Pio kiyidde. Okusinziira ku bakulira essomero lino okuli Bro. Anthony Lubwama ne Fr. Deus Ssekabira, omuliro gwatandise ku ssaawa 2.30 ez’akawungeezi ku Mmande kyokka tebannategeera kwe gwavudde kubanga gwabaluse omulundi gumu okuva mu buli nsonda ya kizimbe. Baayongeddeko nti mu kiseera we gwabalukiddewo, abayizi bonna baabadde bagenze mu bibiina kusoma ne bagamba nti kyayambye abayizi obutakosebwa wadde ng’era abamu baazirise olw’ebintu byabwe okutokomoka. Omusumba John Baptist Kaggwa n’omubaka wa Kalungu East mu Palamenti Vincent Ssempijja nabo badduukiridde enduulu era mu kwennyamira Bp. Kaggwa yagambye nti kuno kusoomoozebwa kwa maanyi kubanga babadde baakayita mu bugubi obutagambika okuweza ensimbi ezaamalirizza ekizimbe kino. Bp. Kaggwa yasabye poliisi okusitukiramu enoonyereze ku kivaako amasomero okuggya nti kubanga kati ne mu Masaka kweyongedde n’awa ekyokulabirako ky’amasomero ag’e Kyabakuza n’e Kimaanya nago agaakookebwa omuliro. Omubaka Vincent Ssempijja yagumizza abayizi naddala abali mu bibuuzo byabwe eby’akamaliririzo, nti kino ekiguddewo tekibatwalira nnyo birowoozo nti kubanga nakyo Katonda yandiba ng’akireese nga kigezo. Abamu ku bayizi abaazirisse kuliko Levin Nakawungu S2, Flavia Nassali S6, Peninah Naginda S2, Patricia Nabukeera S1, Cathy Kyokunda S1, Jane Nakiberu S5 ne Resty Nakononi owa S1 nga baatwaliddwa mu ddwaaliro e Masaka okufuna obujjanjabi. Lwaki amasomero nnansangwa mu nsi Buganda gatandiseewo amatabi? NGA bizinensi y'amasomero yeeyongera ebbugumu buli olukya, amasomero gannansangwa nago gatandise okweyubula era agamu gatandise okugaziwa n'okuteekawo gannaago okusobola okutwala abayizi abawera. Lino lya bawala bokka, lisangibwa Gayaza nga lyatandika mu 1905 kati gye myaka 100 be ddu. Omwezi oguwedde omukulu w'essomero lino, Margaret Kibuuka yayanjudde enteekateeka y'okuzimba essomero eddala nalyo erigenda okuyitibwa Gayaza Junior School ku luguudo lw'e Nakawuka nga lino ligenda kuyambako okut-wala abamu ku bayizi abaleetebwa ku Gayaza Junior kyokka ne bafikka. Agamba: Ekirowoozo kino nakifuna olw'okuba twalaba ng'abantu bangi abaagala es¬somero lyaffe era batuleetera abaana nga bangi ddala ne twesanga nga tututteko batono be tusobola, olwo abalala ne tubagoba ekitasanyusa bazadde. Buli kibiina tubadde tufuna abayizi abasoba mu 300 kyokka nga twewaliririza ne tutwalako nga 150 kyokka. Buli kibiina kirimu ebiwayi bisatu nga buli kimu tukissaamu abayizi 50. Kino kibadde kitukaluubiriza oluusi ne tuyingiza abasoba mu 150 ne tubassa mu biwayi bina nnya olw'obungi bw'abayizi. Kwe kusalawo tuzimbe ebi¬zimbe ebirala mu kifo ekigazi ku ttaka lye twagula e Jjungo ku luguudo lw'e Nakawuka. Tetukoze ssomero ddala wabula tugaziyizza Gayaza Junior School okusanyusa abazadde abatwa¬gala tutwale abayizi bonna be batuleetera. Era mu kugaziwa kuno, twagadde okukendeeza ku muwendo gw'abayizi abangi be tulina mu buli kibiina, olwo buli kiwayi kibeemu abayizi 40. Kino kijja kuyamba omusomesa okutuuka ku buli muyizi. Enteekateeka eno twa¬gyanjulidde abazadde era ne bagisiima. E Jjungo tu¬suubira okuteekayo essomero ly’ebyemikono nga n'abayizi baffe nabo bajja kuba bagan¬yulwa mu ssomo lino wadde nga lijja kuba n'abayizi abava awalala kuba ku Gayaza Junior ebyemikono tubyettanira. Mother Kevin Primary School e Nsambya, lino ttabi lya Namilyango Junior Boys School. Olw’okuba eno wagazi, tusuubira okuteekayo ebintu bingi omuli ebidiba ebiwugir¬wamu, ekisaawe ekinene era eky'omulembe nga mulimu ebisaawe omuzannyirwa emizannyo egy’enjawulo omuli n’okuvuga endogoyi. era kino olunaggwa tugenda kutwala abayizi ebibiina bisatu okuva ku P.2 okutuuka ku P.5. Abazadde abamu baasanyukidde Jjungo nga bagamba nti kumpi ne gye babeera era abo abaana baabwe gye bajja okutwalibwa. Okulonda abanaagenda e Jjungo tujja kukuba kalulu, omuzadde k’anaalonda eyo omwana we gye tujja okumutwala. Kyokka singa omuzadde anaalemerako ku wa gy'ayagala omwana we asomere ate naye tujja kumuwuliriza. kusigala ng’eri emu eri abayizi bonna. Emikolo gy'essomero tujja kugigabanya ng'omwaka guno bwe gibeera e Jjungo ogujja gibeera Gayaza. Abayizi be tufuna beeyongera buli olukya. Twakizuula nti abantu bangi baagala essomero bwe tutyo mu 2008 ne tufuna ekirowoozo okuteekawo ettabi eddala era nga lino twaliteeka Nsambya. Kyokka tetwalituuma Namilyango Junior Boys School twalibbulamu erinnya ly'omutandisi w'essomero lyaffe, Mother Kevin nga twagala okumu-jjuukirirako. Mu ntandikwa abayizi ‘Interviews’ baazikoleranga wano e Namilyango nga mwe twalonda abaatandikawo Mother Kevin P/S e Nsambya. N'abasomesa twasooka kukozesa baffe wano, oluvan¬nyuma ne tufuna abapya era ne tubatendekera wano e Namilyango okutuusa lwe twalaba nti batuuse ku mutindo gwe twetaaga. Okusooka obukulembeze twalina bumu nga Namilyango y’etwala Mother Kevin wabula mu 2012 bwe twalaba ng'essomero likuze nga n'omutindo gwaffe tumaze okugutereeza obulungi, twalita ne lyetongola era kati likulirwa Sr. Mary Pauline. Embeera y’ebisulo bya Yunivasite e Makerere yennyamiza; byavunda dda! EMBEERA y’ebisulo ebimu ebya Yunivasite y’e Makerere yennyamiza era tebikyasulikamu kuba bitonnya ate ne kaabuyonjo ziri mu mbeera mbi. Ekisulo ekya Lumumba ekisinga obunene era ekyasuzanga abayizi abangi kati kye kisembayo okusuza abayizi abatono bw’ogeraageranya n’ebisulo by’abalenzi ebirala. Ekimu ku bizimbe by’ekisulo kya CCE byakubwako amabaati waggulu okukitangira okutonnya. Akulira okulabirira abayizi mu Yunivasite eno, Cyriaco Kabagambe agamba nti bali mu nteekateeka y’okuddaabiriza ebisulo bino era baddaabirizaako ebimu nga basiiga langi n’okutereeza kaabuyonjo naye ssente ze bafuna ntono nga kino kye ky’okusoomooza kye balina. Mu 2009 baatandika okuzimba olukomera nga baali baagala kulwetoolooza ettendekero lyonna naye baali baakatandika ekisenge ekyasooka ne kigwa. Omwogezi w’ettendekero lino, Ritah Namisango agamba nti mu 2014 omumyuka wa cansala wa Yunivasite, Polof. Ddumba Sentamu ng’awerekeddwaako abakulembeze abalala baasisinkana pulezidenti ne bamunnyonnyola ebizibu bye basanga ng’ekimu ku byo kyali kya kuzimba lukomera n’abasuubiza okubawa ssente. Gye buvuddeko Pulezidenti Museveni yakyaddeko e Makerere n’ayogera eri abakulembeze b’abayizi n’alagira babawe obuwumbi butaano batandike okuzimba olukomera amangu ddala. Bananyini Ssommero lino bebano abamaliridde okuwamba ettaka eddala lingi nyo mu Buganda okuzimbako ebizimbe ebikyamu. Engineers from Signet install microwave links at Vision Group offices. Signet, the sole company licensed by Uganda Company Communications Commission to distribute digital TV signals in Uganda has installed its equipment at Vision Group head offices in Kampala for picking digital TV signals. Engineers contracted by Signet were on the roof of Vision Group installing microwave links. They also installed indoor equipment such as encoders, which digitize TV signals in the Vision Group TV studios. Mark Walungama head of Television, Vision Group said Signet was installing their microwave link for sending digital signals to the Kololo mast owned by Uganda Broadcasting Corporation (UBC). Signet is a sister company to UBC that is responsible for distribution of digital TV signals. Walungama said no agreement had yet been reached between Signet and the broadcasters on the fees for distributing digital signals. He said when an agreement was reached, the TV signal distribution would start. "We have no agreement yet with Signet. They are installing the equipment to be ready. They had delayed to install the equipment," Walungama said. Bruce Xion, project manager Gospell Digital Technology said they were installing the microwave links and indoor equipment for digital TV signal broadcasts. Xion said the equipment had delayed at customs by one month. "In China customs clearance is done in one week. But in Uganda it has taken a week. I don't know why it takes so long," Xion said. Xion said the equipment was imported from USA. He added that installation could take a day and the equipment would be ready for use. He said they were subcontracted by Complant Ltd to do the work. TV Broadcasters have asked government to suspend the digital migration from analogue to digital TV broadcasts as the necessary infrastructure and agreements are not yet in place. The Uganda Communications Commission last month began enforcing the International Telecommunications Union set June 17 2015 deadline of transiting from analogue to digital broadcasts. UCC switched off free to air of analogue broadcasts in Kampala leaving people using analogue TVs and those without Pay TV in 'TV darkness'.